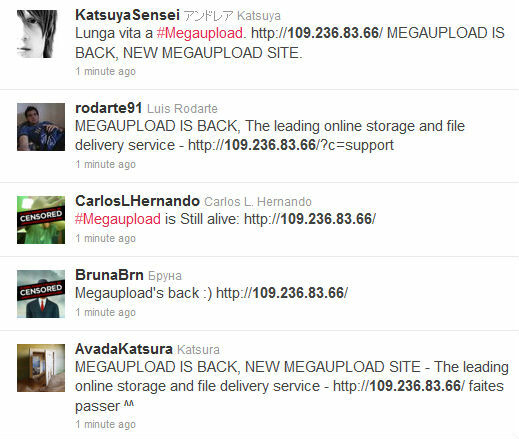 A few hours after MegaUpload was taken down by the feds the first scammy replacements start to surface. Tens of thousands of people are visiting these “revived” MegaUpload sites, which have nothing to do with MegaUpload. If you see a site that looks like MegaUpload, it doesn’t mean that the popular cyberlocker is back. There is NO official MegaUpload replacement online and it’s highly doubtful that there will be one anytime soon. So don’t send ad impressions to these sites, or open yourself up to a phishing scam. Sure, there are plenty of alternatives to MegaUpload, but MegaUpload itself is not back.